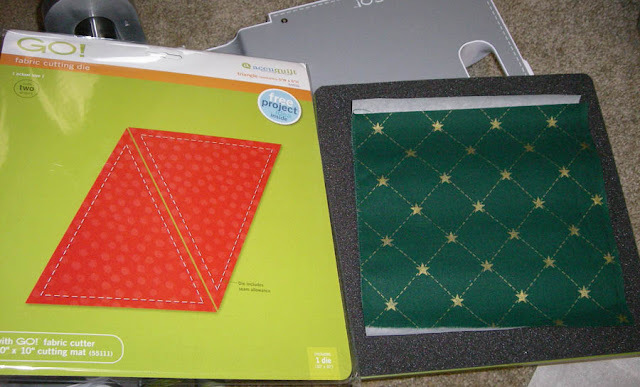 I caught myself on Saturday, I couldn't believe it, there I was in Joann's humming along to Christmas music... Even my subconscious is ready before I am. OK, I give in, I can't wait to put up the Christmas tree after Thanksgiving! So, to get in the mood, I made a super quick Christmas Tree pillow cover using my AccuQuilt go triangle die. 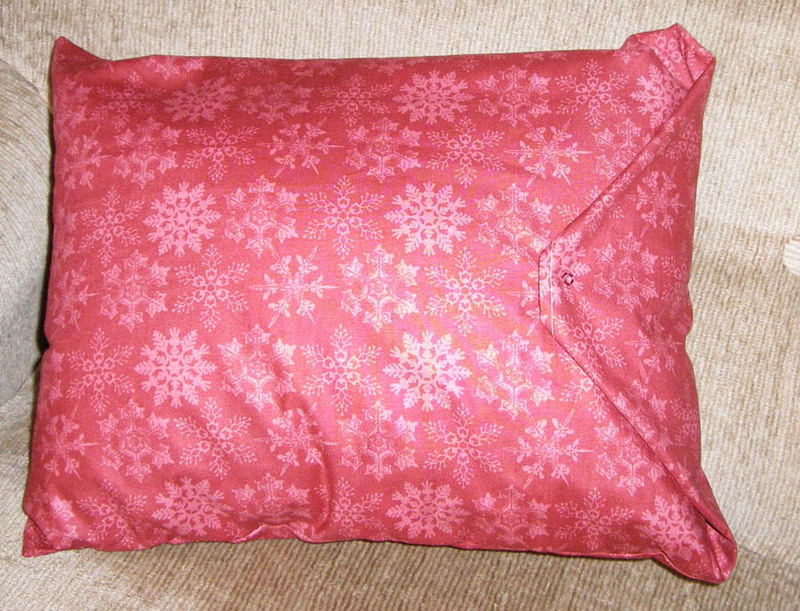 I have a few extra pillow forms I have not used yet so I picked up some red snowflake fabric at Joann's this week at 50% off. 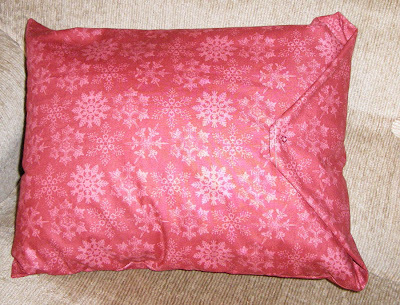 12 x 16 pillow form. After cutting the die out with the steam a seam2 attached, I set that aside and cut out the pillow fabric in the 13.5 x 43 strip to fit my pillow form being used which was 12" by 16". 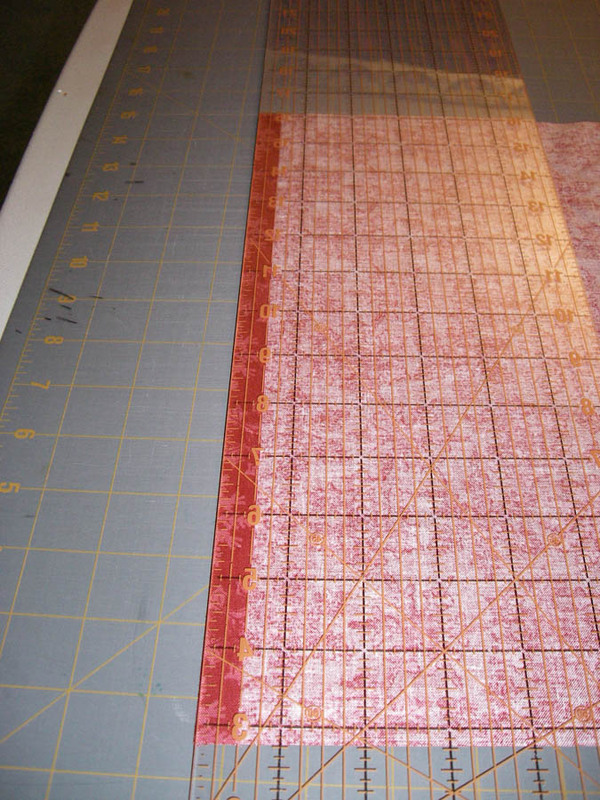 I folded down the 13.5" edges a 1/2" using the fabric folding pen and then sew a 1/4 seam to secure. 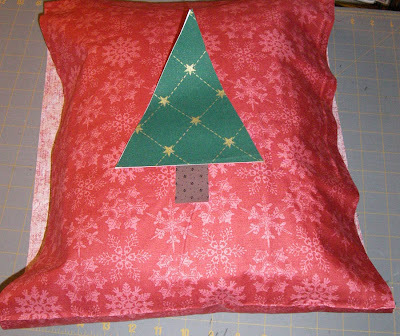 I wrapped the fabric around the pillow to determine the placement I wanted for the tree. 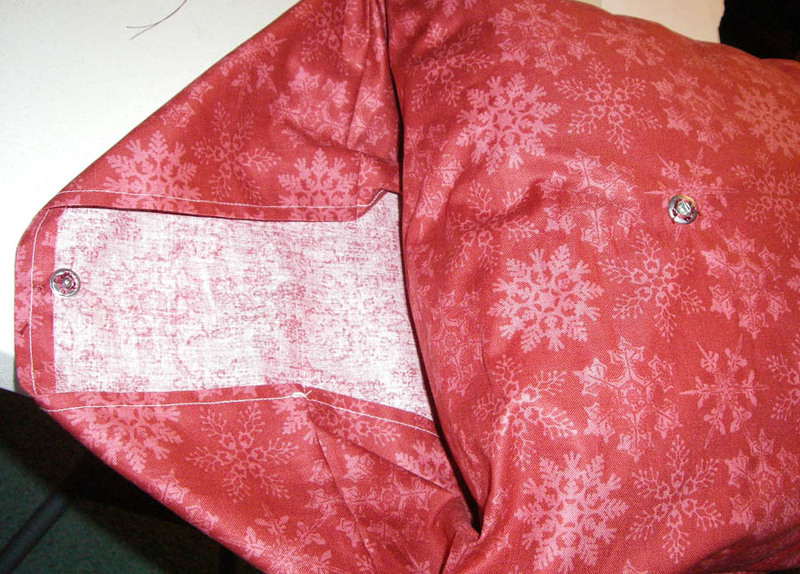 Then I went to the iron and sealed the applique with the steam a seam2. From here, if you wanted to stitch the edges to secure, I would complete that before assembling the pillowcase. It would be a lot easier to maneuver the fabric. 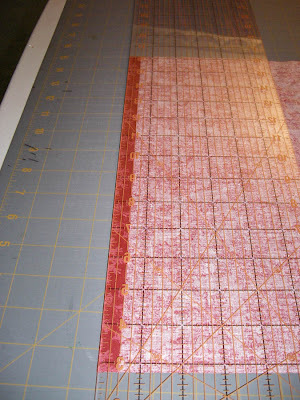 Fold the 13.5 x 43" fabric strip to have right sides together. 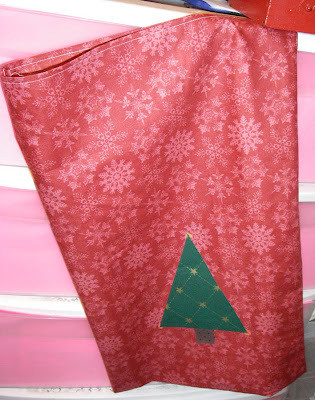 Sew down the side seams using a 1/4 inch seam. Turn right sides out and stuff the pillow inside the form. You will have a lot longer pillowcase than the pillow. I fold the backside of the pillowcase in over the pillow and tuck it behind the decorated side. This pulls in the sides and basically makes a point on the pillowcase. Make sure the point is centered. Now pull this point down over the back of the pillow. Mark where the point reaches to place a snap,hook and eye closure, or better yet a button and button hole. Once closed, no one really knows how easy it was for you. Decorate your tree with gems if you want now and enjoy your super simple tree pillow! Next thing you know, I might be making some Christmas Candy! 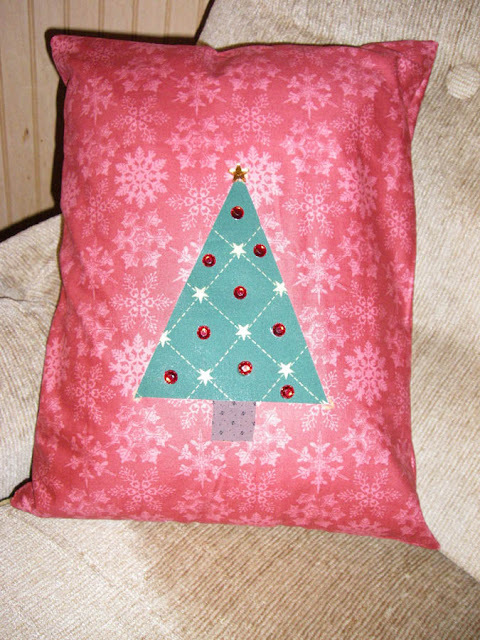 I gave in and ordered some of the Christmas AccuQuilt dies so I make make a few other pillow cases to throw around the home! Maybe I'll add some presents under the tree yet! Your pillow is wonderful! Thank you for sharing!